Our November Dessert and Discourse will feature Tronster Hartley, UI Engineering Lead and Senior Programmer at Firaxis Games, as he offers us an insider’s view into the gaming industry. 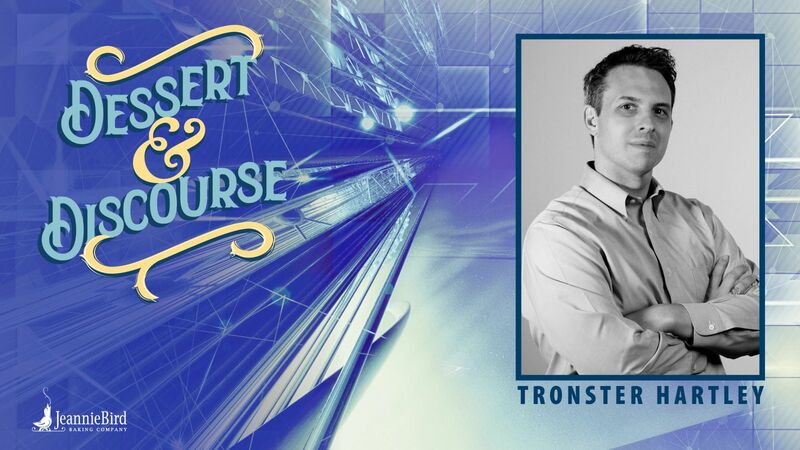 Tronster has spent the past fifteen years in the video game industry, contributing to many video game franchises including Command And Conquer, X-Com, and Civilization. He also founded the Baltimore chapter of the International Game Developers Association (IGDA) and started the MAGFest Indie Videogame Showcase (MIVS) that features over 60 student and independent video games each year to 21,000 attendees across four days in D.C.
Dessert and Discourse is a series featuring insights from thought leaders exploring technology, innovation, and initiatives playing a role in the new economy as we prepare for Exploration Commons at 50 East, a 14,000 sf Makerspace, Culinary Literacy Center, and Collaborative Work and Meeting Space coming to the lower level of the Westminster Branch. The series is presented by JeannieBird Baking Company and Carroll County Public Library.